Update 5 March 2019 due to GTM not supporting negative lookbehinds any more. 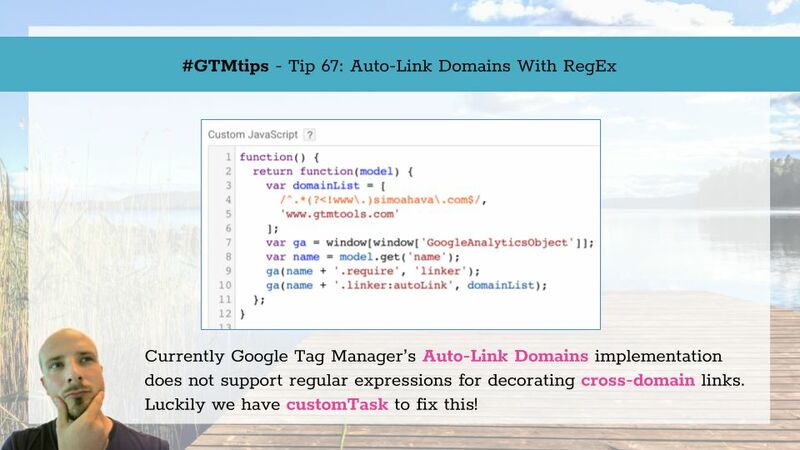 Google Tag Manager makes it fairly easy to do cross-domain tracking. 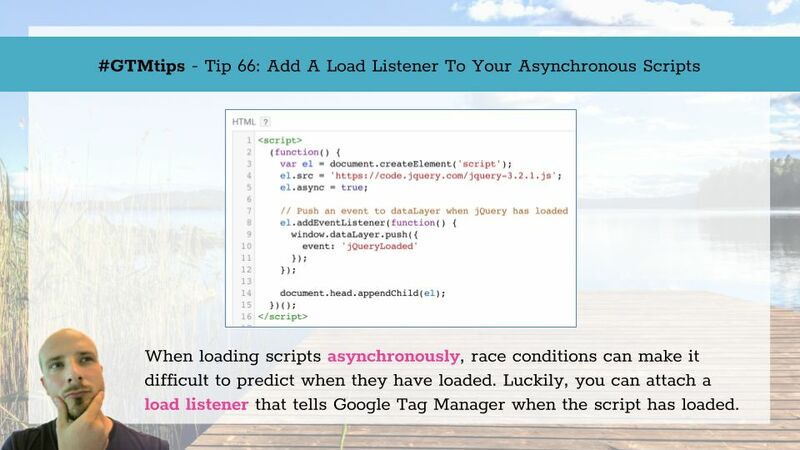 Basically, you list the hostnames you want to automatically decorate with linker parameters in the Auto-Link Domains field of your Page View tag, and that takes care of decorating the URLs with the necessary parameter. It’s dead easy, even if there are a bunch of traps you need to watch out for (see my post on troubleshooting cross-domain tracking issues). With GDPR looming around the corner, it’s time to explore the options you have at your disposal for respecting the new, stricter regulations for tracking users and for collecting data about their visits to your website. UPDATE 20 June 2018: Google has released the allowAdFeatures field which renders the solution below redundant (at least for the displayFeaturesTask part of it). 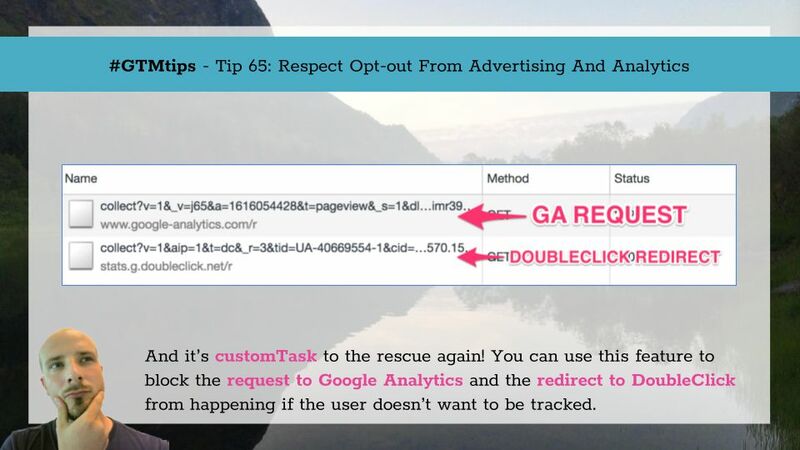 Please refer to this article for more details on how to conditionally block the advertising hit to DoubleClick.